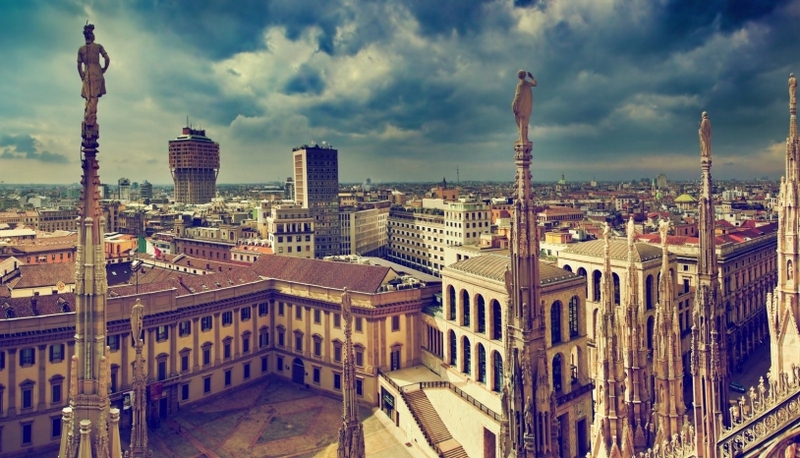 Milan is a remarkable city in northern Italy, the center of Lombardy region. Though it was not chosen as official capital, for many Italian people it remained the most significant city. Milan’s historical, industrial and business assets are amazing. Milan gets honorable place among world’s most stylish cities. It is really a paradise for fashionistas. Such acclaimed designers as Giorgio Armani, Dolce & Gabbana started their businesses here. Prada has been a child of Milan’s fashion world, too. Their boutiques on Milan’s streets form a figure which is called a Fashion Rectangle. But you do not have to spend lots of money in Milan – there are plenty local Italian designers with their small fashion shops and their great sense of style. World's most known La Scala Opera House is one of Milan’s greatest historical sights. It has a beautiful interior and a brilliant history. Built in 1776-1778, La Scala was ruined during World War II. It opened again in 1946 after the reconstruction. Not only fashion and opera lovers will be overwhelmed with Milan’s charm. The North Italian capital has something to offer to sport fans: the Museum of Milan-born football clubs "Internationale" and "Milan". Probably the most prominent sight to see is located in a church called Santa Maria delle Grazie. The "Last Supper", a masterpiece by Leonardo da Vinci is kept here. To see this respected work of art you’d better book the tickets beforehand. They are usually sold for two months in advance. 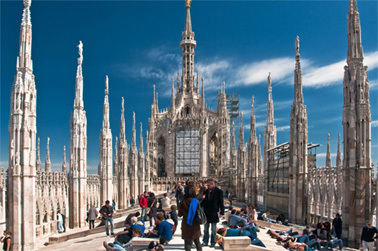 One of the symbols of Milan is a gorgeous catholic church Duomo di Milano, built in Gothic style. Among other sights there is Brera Gallery and the splendid medieval castle called Sforza (an architectural "prototype of" the Moscow Kremlin). Galleria Vittorio Emanuele II is the hearth and home for Milan’s culture, fashionable boutiques and best restaurants. Milanese cuisine combines different culinary trends: if you are interested in Italian and international restaurants have delicious black ravioli in Bice. Enjoy Italian food and wine in Ulmet, Pacific Milano Restaurant or Don Carlos. Best Tuscan dishes are served in Assassino. If you miss some sushi, the Japanese restaurant Nobu Armani will add some Japan flavor to your Milan vacation. Shopping in Milan is worth taking several days. Best clothes from Italian designers can be bought here, especially when winter and summer sales make the prices go down. Give a visit to La Rinascente store; find best shoes in Baldinini and evening dresses in Roberto Cavalli boutiques. Pay attention to an outlet shopping in Biffi, RJ, Griffes Diffusion. Children will be delighted with the game complex called Play Planet and the largest toy museum in Europe.